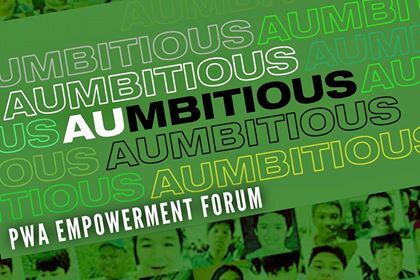 In commemoration of the National Autism Consciousness Week, the group is holding it's maiden event, AUmbitious PWA Empowerment Forum -- one where ASP autism self-advocates share their journeys and their needs, for themselves and for those who do not have a voice. This is the first of a series of fora, designed to inspire sharing of experiences, thoughtful exchange and PWA-led recommendations that will impact public policy for the improvement of the lives of persons with autism. This event is warmly supported by the Autism Society Philippines, King’s Court and the Leonard Cheshire Disability Foundation. The event program can be found at http://bit.ly/2VQfmJH. Registration form can be found below or via https://aumbitious-jan2019.eventbrite.ca. 1) What were your earlier challenges? What and who helped you improve? 2) What do you want to accomplish for your future? 3) What do you want the society to do to help you? Speak from the heart. Be genuine. Do not brag. Tagalog or English is okay. The top contributions will be invited to read their entry at the AUmbitious event. Please email in a Word document to carlveluz92@gmail.com on or before 19 January 2019. All contributions will be published in the ASP blog, all througout 2019.